In our lives we will all have experiences that are hard to get past. Some of these might be what anyone would recognize as a trauma, like a car accident or an assault. Other experiences that are not traditionally seen as traumatic may still impact us though, like being teased or bullied when you were a kid. These traumatic memories stick with us. We have strong emotions when we think about them, or shut down so we feel nothing. These memories have a “charge” to them now. Unlike other memories, they don’t feel fully in the past. Sometimes even when people talk about these issues at length in therapy, the memories are still upsetting. This is trauma. We feel stuck, held back or haunted by the past, because our brain hasn’t been able to process the things we’ve been through. Part of our brains in “trauma-time,” still back there reacting to that experience, rather than letting you being present in your life now. Eye Movement Desensitization and Reprocessing (EMDR) is a therapy used to re-process these traumatic memories, putting them in their rightful place as memories of the past. In EMDR, we believe that the brain is adaptive. It wants to make sense of things and file them away. We belief that in the right circumstances the brain can heal itself, just like the rest of the body. EMDR creates an environment where your brain can process your traumatic memories. This is nothing unusual. Our brains effectively process difficult experiences all the time. We have all had painful experiences that were very upsetting at the time, but aren’t anymore. That is an example of the brain effectively processing a difficult experience. EMDR helps the brain to do this for memories that it hasn’t been able to process yet, so you can focus on the present. I love using EMDR with people because it effectively gets at issues that lie below daily symptoms. Post-traumatic stress disorder, depression and anxiety can all show you that your brain is reacting to past trauma. By working on the memories that are getting in your way, you can go from feeling upset to feeling clear, calm, and in control of your life again. EMDR uses bilateral stimulation in order to help this processing happen. Bilateral stimulation is a back and forth between the left and right side of your body. You can do this many ways. 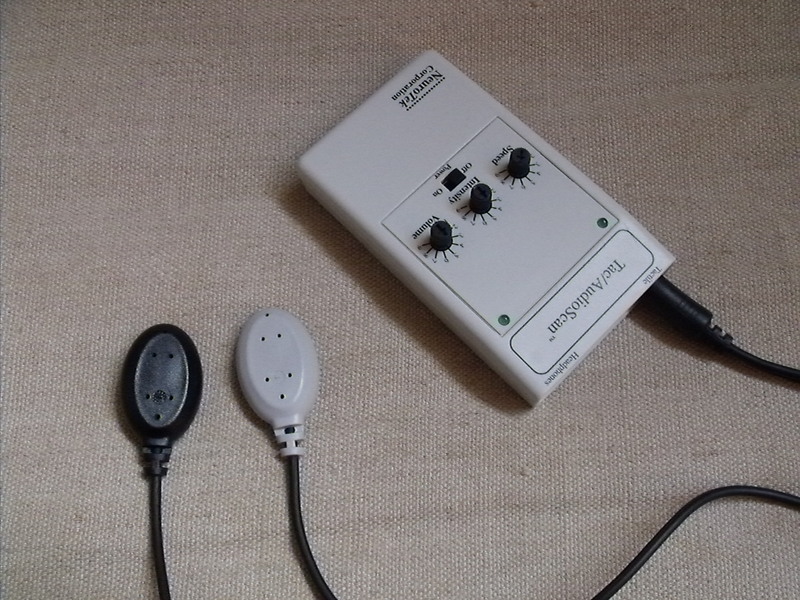 In my practice I tend to use tactile stimulation (buzzers that you hold in each hand) or audio stimulation (head phones). 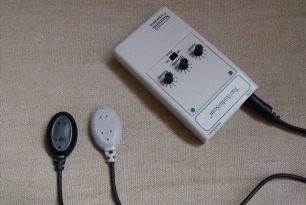 EMDR buzzers are one form of bilateral stimulation available for EMDR. Headsets, eye movements and tapping can also be used, depending on your preference. EMDR buzzers are held in each hand. 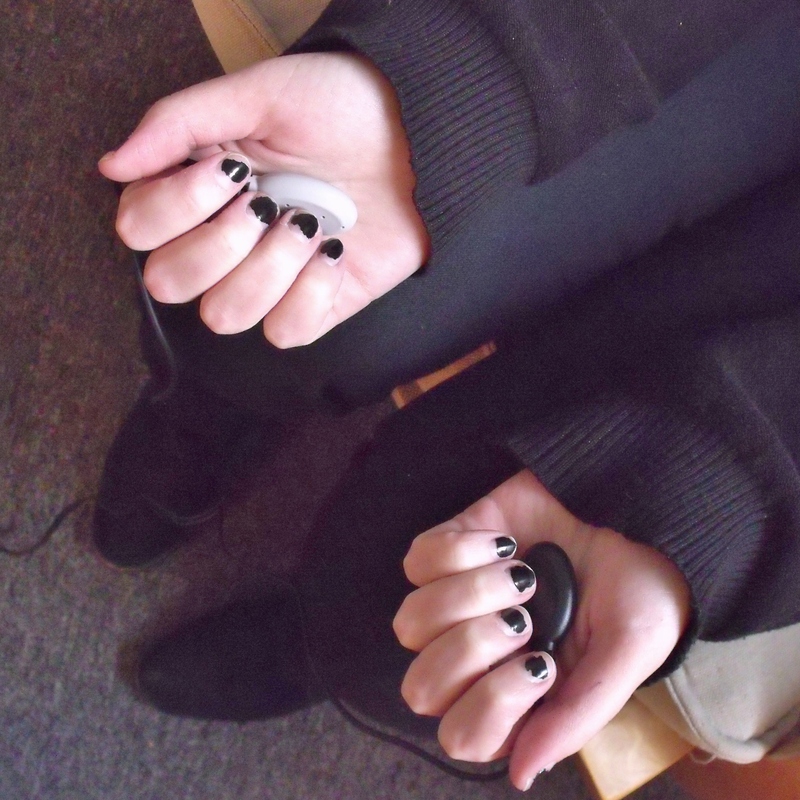 They buzz back and forth from hand to hand, which stimulates each side of the brain in turn. One theory is that bilateral stimulation puts our brain into a state like REM sleep. Our brain makes interesting, creative connections when we dream. It brings together ideas we’d never think to combine in daily life. Like dreaming, bilateral stimulation allows your brain to make creative connections. This lets it effectively to put the negative experiences in the context of your whole life. When you’re finished processing a memory, it will have no charge. You will be able to think about it without feeling upset or overwhelmed. It will still be a difficult thing that happened to you, but it will be a story from the past, not an issue that is haunting you now. You will be able to focus on the present again, because your brain and body will realize the trauma is over. EMDR is often faster and more effective than other forms of therapy because it goes to the root of the problem, rather than teaching you to cope with the symptoms. EMDR has been heavily researched for treatment of post-traumatic stress disorder. Studies have shown that “84%-90% of single-trauma victims no longer have post-traumatic stress disorder after only three 90-minute sessions.”(1) Research is also emerging for the use of EMDR on many different mental health issues. If you’re curious about EMDR and whether it’s for you, contact me to arrange for a 15 minute consultation. Click here to learn more about what EMDR actually looks like.